Jessica brings a large cardboard box along on her first day at her new school. Inside is a surprise that she is sure will impress the other children. Unfortunately, the other students don’t think Jessica’s teddy bear is all that impressive. On the next day, they love the cupcakes Jessica brings inside the box, but as soon as the cupcakes are gone, the children wander away. What will Jessica do next to help her find her fit in and make friends? This award-winning book by Australian author/illustrator Peter Carnavas has such a wonderful message for young readers about self-worth, friendship, including others and making newcomers feel welcome. The impact of this message is even more meaningful in this special Cerebral Palsy Alliance edition, where the illustration has been reworked to include one extra detail – Jessica is now in a wheelchair. With no other changes or adjustments to the story and no mention of Jessica’s disability, Jessica’s Box offers readers an additional message about including and accepting others through the visual clues only. With the ongoing discussion about the need for greater diversity in children’s books, this edition of Jessica’s Box is the perfect example of how diversity can be represented for readers of all ages. 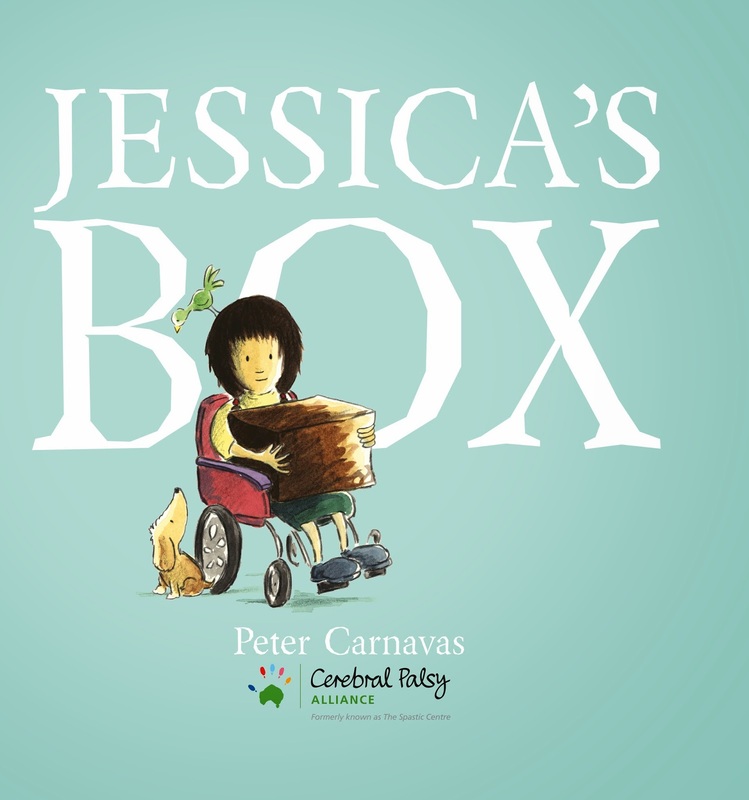 I love Peter Carnavas’ heartwarming picture books, including this wonderful version of Jessica’s Box. Perfect for home or the classroom, this book is sure to be particularly appreciated by parents and teachers looking to raise awareness with children about the importance of including and accepting those who seem ‘different’ in some way. You can read our previous review of Jessica's Box here.